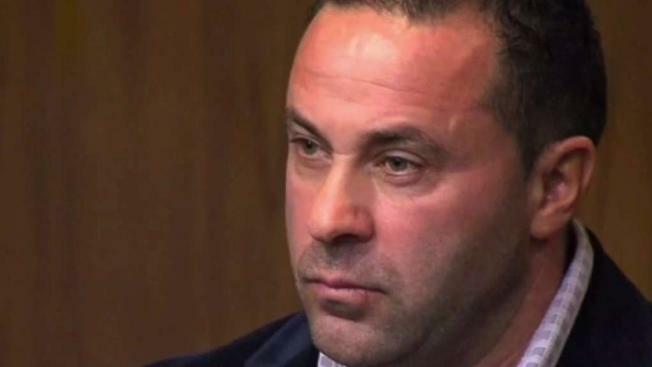 Giuseppe "Joe" Giudice, the incarcerated husband of "Real Housewives of New Jersey" star Teresa Giudice, is in the process of being deported, officials say. Giudice, who's serving a more than 41-month sentence in federal prison on bankruptcy fraud charges, is in removal proceedings to return to his native Italy after Immigration and Customs Enforcement lodged a detainer on him, an ICE spokesman confirmed. RadarOnline first reported that Giudice, who isn't scheduled for release until March 2019, could be deported before his sentence is up. If he does complete his sentence, he'll immediately be transferred into the care of ICE instead of returning home to his wife and four daughters. The 46-year-old Giudice is more than two years into the three-year-plus sentence. He first reported to Fort Dix's federal prison in New Jersey, but was recently transferred to Allenwood prison in Pennsylvania, RadarOnline reports. Giudice came to the U.S. as an infant but never became a citizen. As a legal permanent resident, he had always faced possible deportation to Italy after he completes his sentence. Wife Teresa Giudice has said she "wouldn't mind" moving to Italy if her husband was deported. The couple pleaded guilty in 2014 to bankruptcy fraud, and Joe Giudice pleaded guilty to not paying about $200,000 in taxes. The judge staggered their sentences so that one of them would be able to take care of their four young daughters. Teresa Giudice completed her 15-month sentence in December 2015.